how or why you should do it? Here are some things to know to help you get started. Recycling helps our community in many ways. We save energy by using recycled materials to make new products instead of extracting virgin materials. We protect the environment by using the resources we already have in the waste stream. We also save space at the Anchorage Regional Landfill and ultimately extend the life of the facility by keeping garbage out of it. The landfill is the final place to dispose of waste in the Municipality of Anchorage. At the current rate of disposal, the landfill is set to close in 2050. The longer we can keep the landfill open the more money and resources we save residents of our community. For each year we can keep the landfill open we save the equivalent of $20 million in today’s dollars. Recycling is one the main ways we make this happen. Recycling is a difficult task in Anchorage. This is because many people do not have the option of having curbside recycling or getting to a recycling center can be challenging for those with busy lives or who lack transportation. But the city of Anchorage is working to make it easier to recycle. We’re adding drop-off locations at Bartlett, East, West and Service high schools to expand recycling to unserved parts of the community. We’re expanding outreach by updating our website and including a list of places you can take materials and which ones we accept. 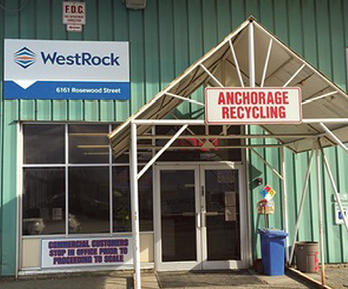 We’re also working with local trash hauler Alaska Waste to make curbside recycling more affordable to residents by offering incentives to keep people in the curbside recycling program. So, what can residents do to be better recyclers? Remember to reduce your waste in the first place. 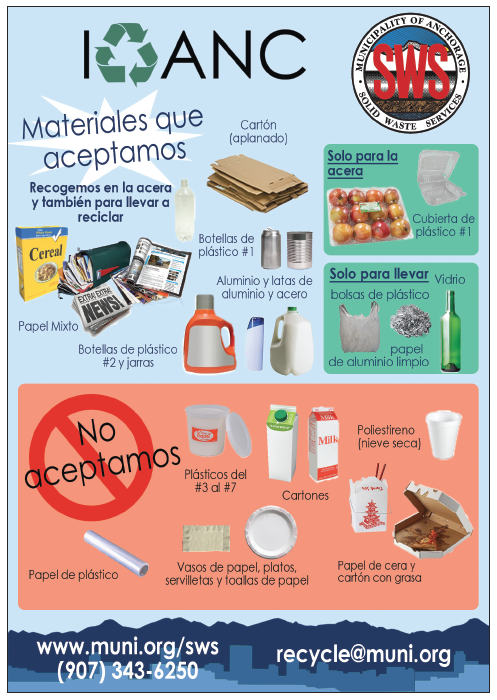 Some easy ways to do this include “refusing” products, like plastic bags at grocery stores, get used to bring your own reusable bags and don´t use straws in drinks. Think about packaging when you buy new products and try to avoid unnecessary items. Look for products made of materials you will be able to recycle and use them in other projects or activities. Learn about what types of materials you can recycle in Anchorage and dispose of them at the proper locations. Sign up for curbside recycling or bring your recycling to drop-off sites. If you can’t bring materials yourself, work with neighbors, colleagues and friends to bring recycling to nearby recycling depots. With some small changes, together we can all make recycling possible in Anchorage. Suzanna Caldwell is the recycling coordinator for the Municipality of Anchorage’s Solid Waste Services.